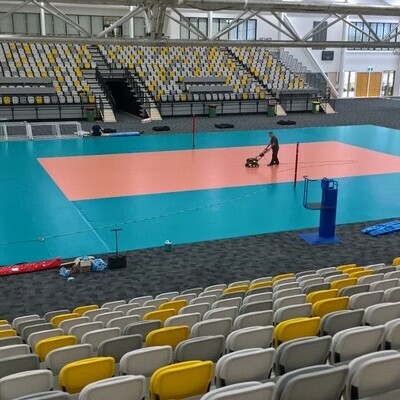 Gerflor specialists are setting the stage for the Volleyball Men’s World League Group 2 Finals installing Gerflor Taraflex at Gold Coast Sports and Leisure Centre. Australia’s Volleyroos will compete against the top three teams from the pool made up of China, Czech Republic, Egypt, Finland, Japan, Korea, Netherlands, Portugal, Slovakia and Turkey. Go Volleyroos!